Tue., Sept. 27, 2016, 10:45 p.m.
PULLMAN – Americans often travel to Italy in the summer to enjoy a slower pace of life, contemplating the Tuscan scenery during leisurely lunches and strolling through art museums. Apparently the Cougars spent their whole trip downing espressos. The Washington State men’s basketball team returned from its trip to Europe’s boot saying it plans to play a much faster brand of basketball during the 2016-17 season. That, along with some talented new players, is why Kent believes the Cougars will be considerably better than last season, when they won just one conference game. Johnson and Valentine Izundu have since transferred to Western Kentucky and San Diego State, respectively. But Kent extolled the talents of newcomers such as Malachi Flynn, who had 15 points, 11 assists and seven rebounds during WSU’s final game in Italy. “There’s a different talent level, and a different energy coming in the door that allows us to play at a higher level, and allows us to play with better team chemistry,” Kent said. Kent also expects big things from freshmen Milan Acquaah and Jamar Ergas, the latter of whom scored 10 points during WSU’s Italy finale. Most importantly for the Cougars, the team shot better than 50 percent from the field in that game. Last year the Cougars ranked No. 11 in the Pac-12 in scoring, due in part to their slower pace of play. While WSU will look different during the 2016-17 season, their leaders remain the same. Hawkinson and Ike Iroegbu were the clear leaders as juniors, a nice trial run for their upcoming senior season. Kent hinted that Hawkinson, who has put up 20 double-doubles in each of his last two seasons, could challenge for a scoring title this year. Iroegbu is one of the quickest players in the Pac-12, and will be counted on to have a big year in taking advantage of WSU’s faster pace. 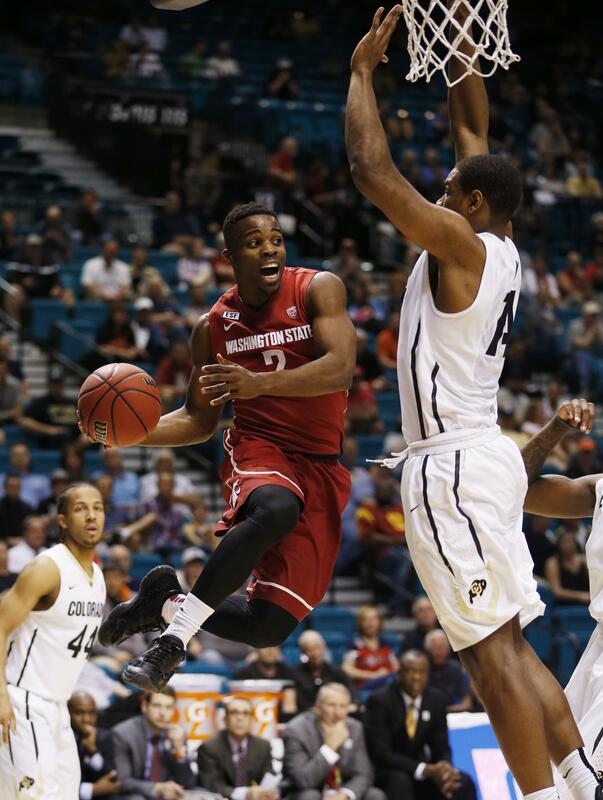 The Cougars had high hopes last season coming off a solid foundational year in 2014-15, Kent’s first in Pullman. The Cougars beat No. 25 UCLA in their second Pac-12 game, but then lost the next 17. WSU was hit hard by transfers in the offseason, the new normal in college basketball, but Kent says the new personnel is better suited to the style of basketball he’s most comfortable coaching, and WSU’s best players are most comfortable playing. Hawkinson and Iroegbu will be difficult players to replace when they graduate, and Clifford is the type of skilled, hefty 7-footer who come around only a couple recruiting cycles per decade. There is an urgency to win now while they’re around. Whether or not that happens will be dependent on supporting players like Robert Franks, Derrien King, KJ Langston and Arinze Chidom. Those aren’t names fans recognize now, but they will be if the Cougars have any kind of success this season. Published: Sept. 27, 2016, 10:45 p.m.